Assalammualaikum and hello everyone ..
Ohooo.. 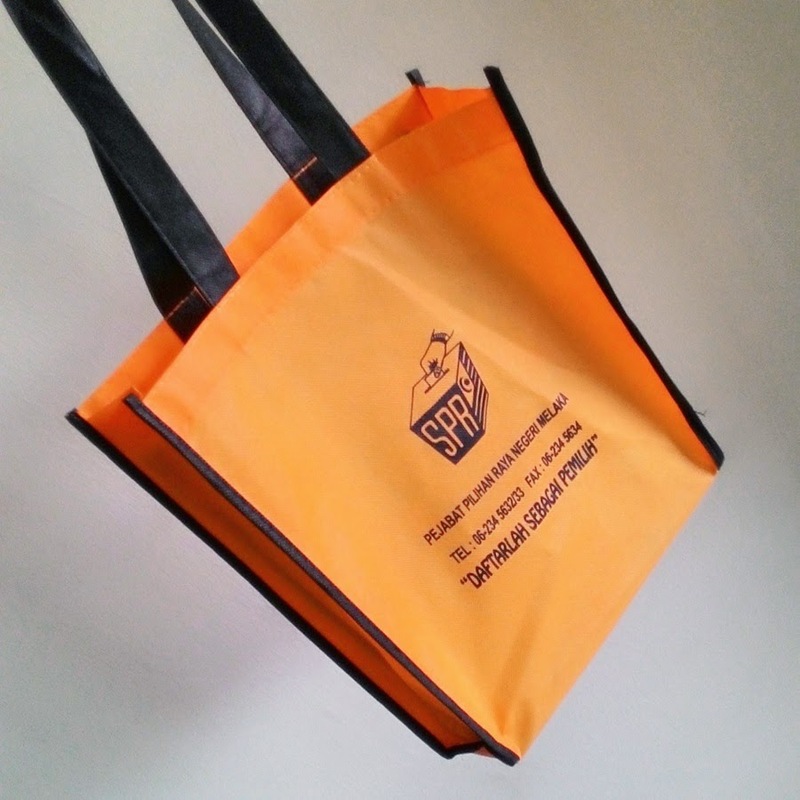 It's Thursday already and I was late to update about my random week post! Ahaaaa.. Typical me on typical tuesday.. Class, class and more class. Never mind focus on your study pika. Bersusah-susah dahulu, Bersenang-senang kemudian. In Shaa Allah. Wish me luck on my study life guys..
On Depavali Holiday, My classmate and I we go for a picnic and BBQ at Air Terjun Sagil. BBQ-ing is like a must have every semester for us. Just a group of a friend spend some quality time together. 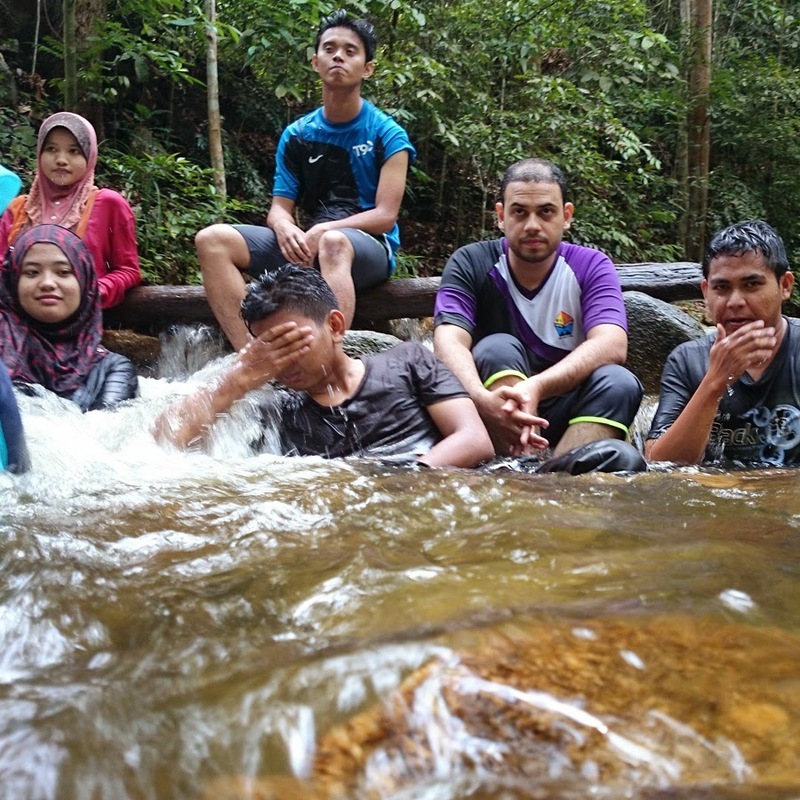 Since it is been awhile for me went to Air Terjun i wan't miss a chance nak mandi kan. Plus, the menu that day was great, my classmate was very rajin and they prepared everything. The menu that day we have chicken, beef, meatball, sweet potato and many more. This is a good idea for those who want to spend some quality time with your friend besides go out for a movie or something. 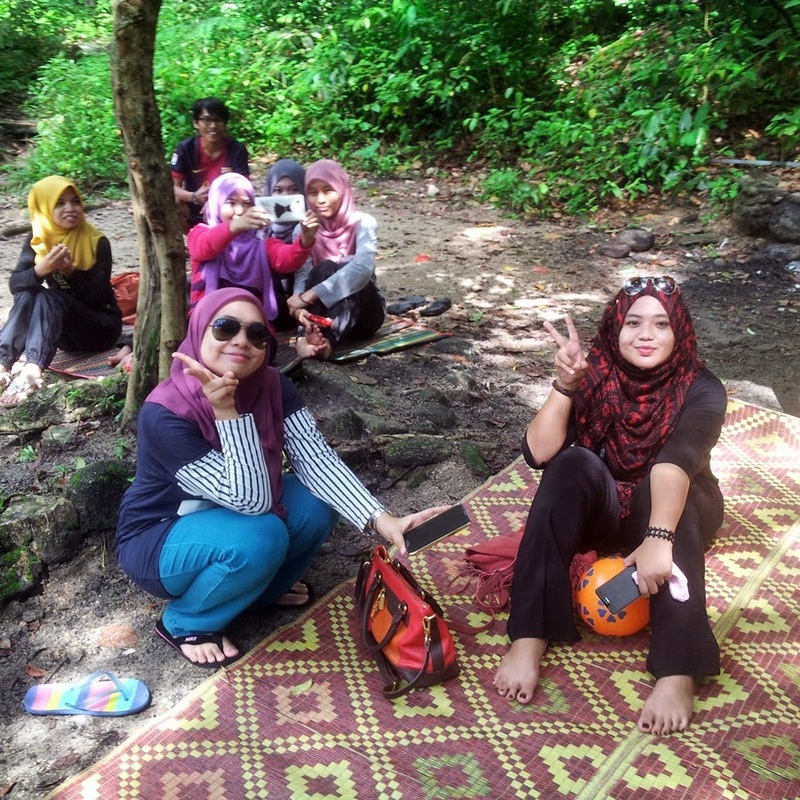 Why not try picnic and BBQ-ing time with your friends. 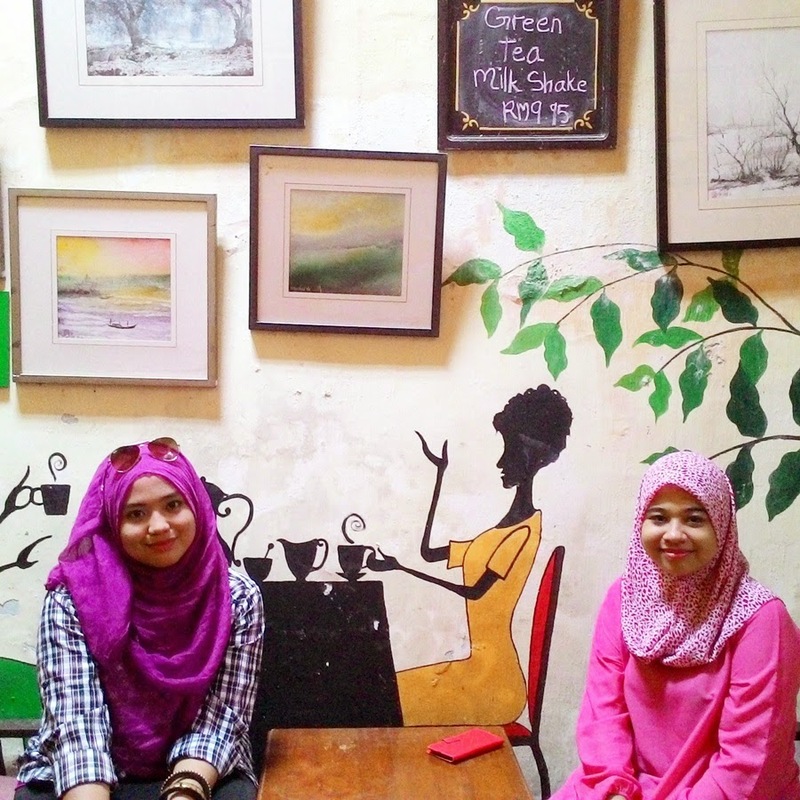 Let's share the joy together..
On the weekend, Saturday if I'm not mistaken.. As my friend promise me to show a cafe at Melaka called Calathe Art Cafe. 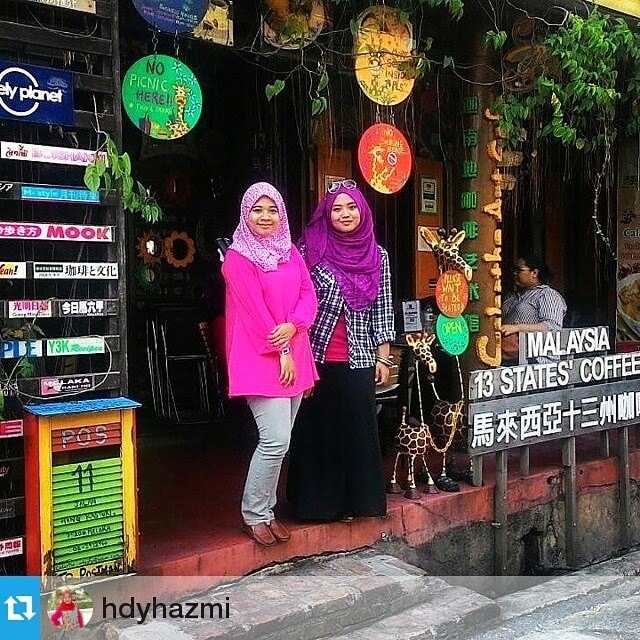 This cafe turns out to be a famous place in Melaka. Thanks to my friend for show me this place. I will story more details about this cafe on my nest post. 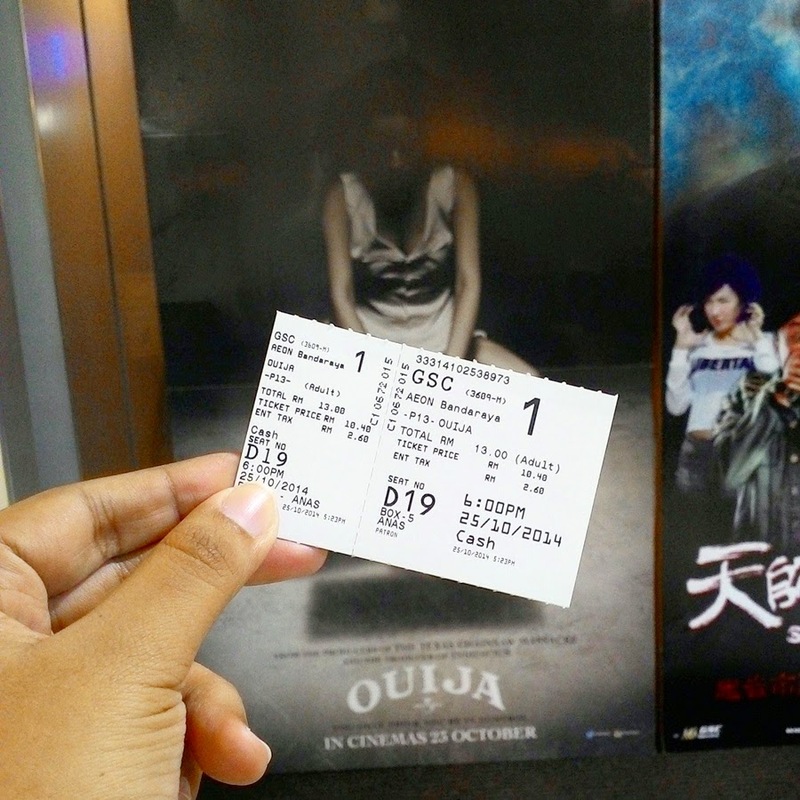 Wait yahhh..
Last minute plan, watching movie, horror film titled "OUIJA" ! I'm not a fan of horror movie. If I have a list of movie, horror would be the last of course since my friend are curious about this movie so I was terjebak jugak that day. 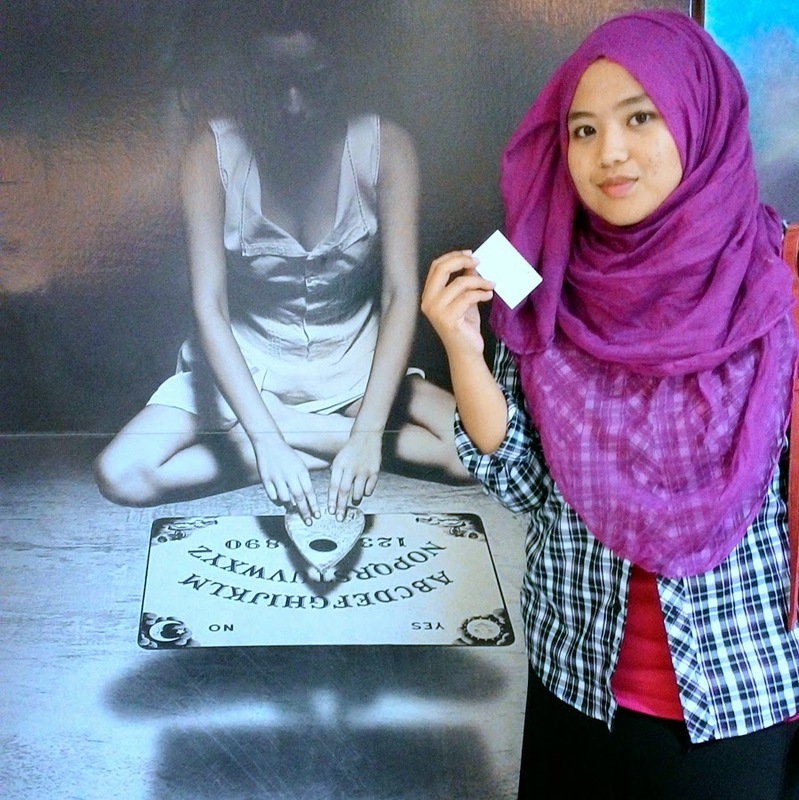 End up, I think this is not that scary lahhhh.. hahahaaa..! I'm not really suggest you to watch this better go for "Love, Rosie" instead cause I heard that the story-line was good. I will watch that movie later. errrrr, maybe or maybe not. ahahahaa.. Thank you for reading this ! Since I update about Boat Noodle on my blog and instagram, my friends keep asking about this Boat Noodle and I decide to share this with you. 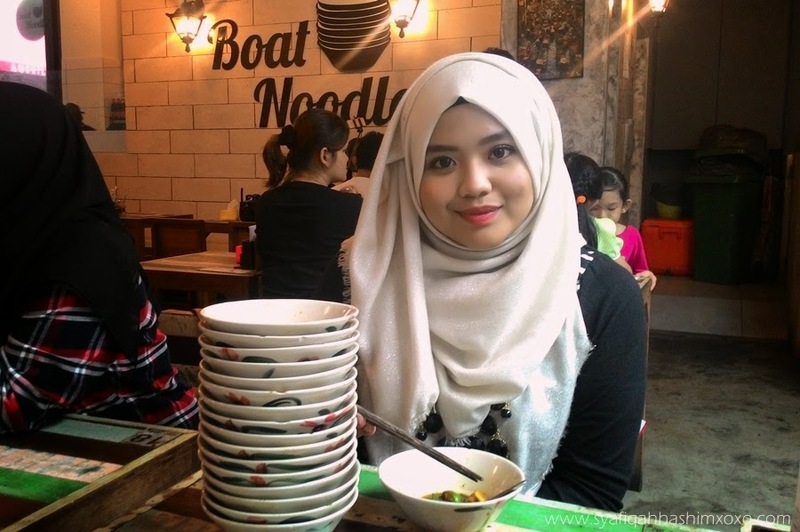 Well, this is also my first time trying Boat Noodle as recommended by my friend. Last a few weeks, I guess almost a month my friends and I were planning to meet up since it is been awhile we spend our time together cause everyone is so busy with thier life and study including me myself, the one who was further than my home. 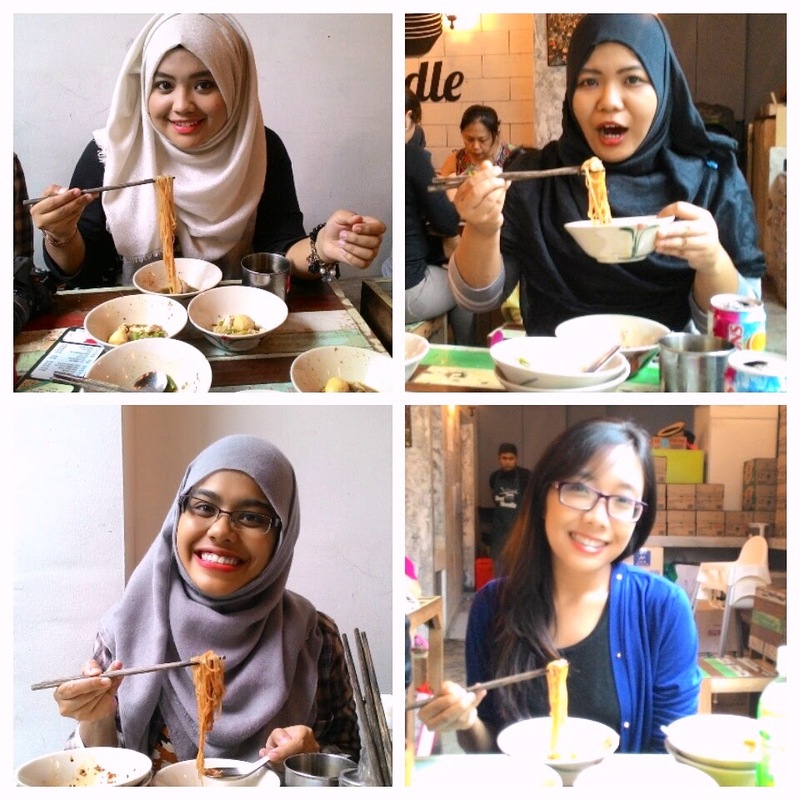 We went to this place known as Boat Noodle. 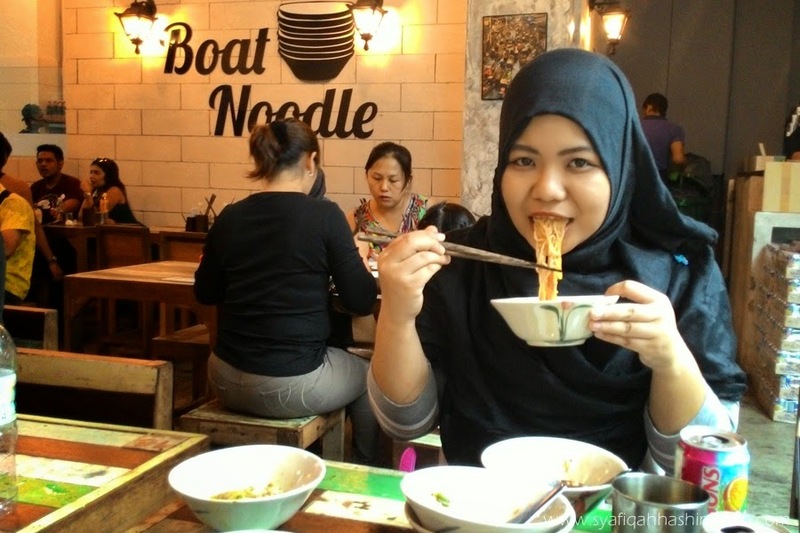 We went to the Boat Noodle at Empire Damansara, which is the closest to our place. Tak payah nak pergi jauh-jauh sangat..ngeeheee..I can tell that the crowds on this place is impressive. We have to queues and wait to get a table. Well, it is depending on the timing jugak lah. We went after lunch hours that time so we have to wait for awhile. 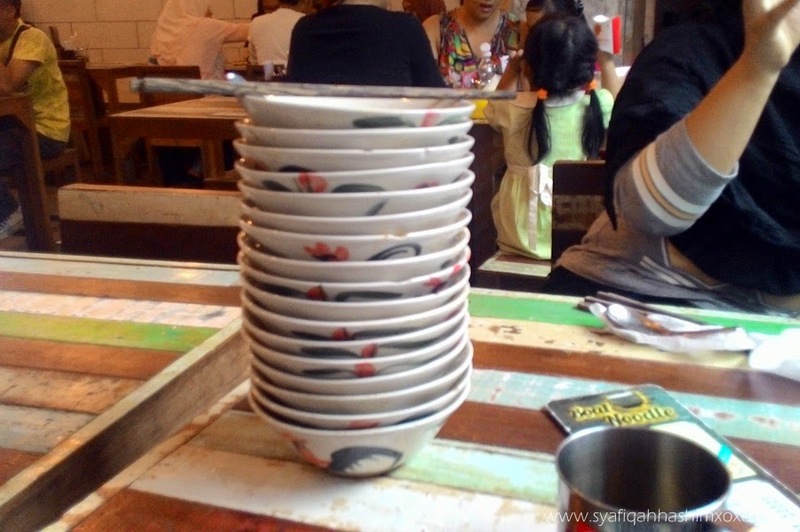 Basically, what special about this place is that you can choose as many bowl you want. YES! as many as you want. Based on their menu is that they only selling noodles. 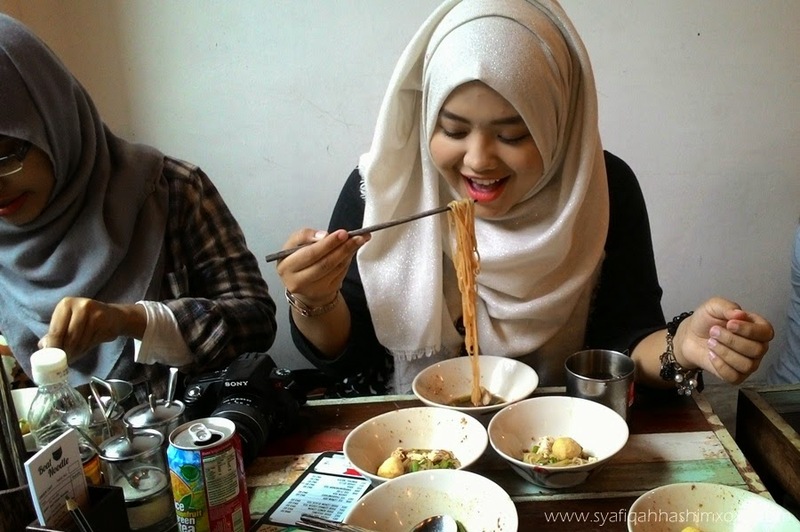 Yahhhh.. No other food therefore the speciality on this place is their noodle. I eat for 4 bowls. Yahhh! my friends and I we all order 4 bowl each person. we try each noodle which is chicken soup, beef soup, chicken dry, and beef dry. ! Don't think too much is that that we're super starving or what okehh.. The reason we chose more cause the portion of the noodle is not that much. For me, I think in just a few mouthful it's already finish. Maximum you can go with 3 times mouthful for each bowl of noodle. The price for each bowl is RM1.90. For those who like to try out something new you can go at try this place. For those who love noodle you may also try noodle at this place cause the taste is quite different I guess. Well, I cannot comment more on their taste or anything cause I'm not food expert. 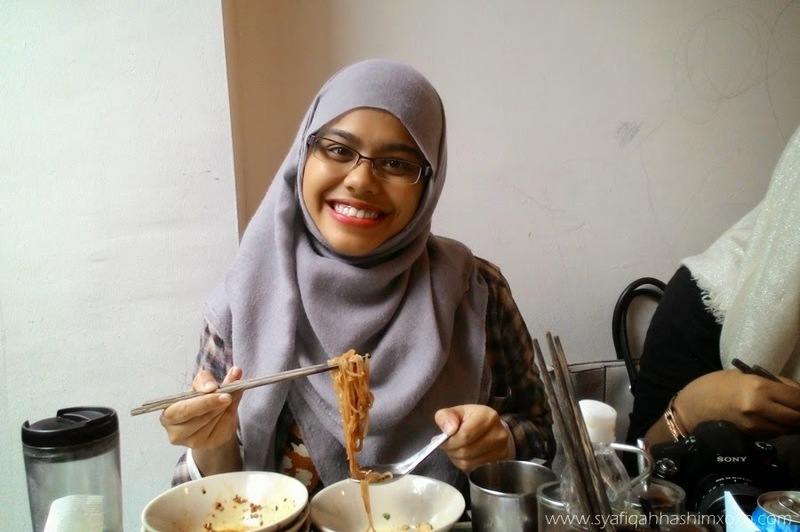 Ngeeheee.. That day, my friend and I we spend out time together cari makan. Yes! the whole day...I sayyy hancur diet I hari tu..
Basically, What I can share about my random week for last weeks is that I do all about my study life. We take a photo for our class. As a memories for us. 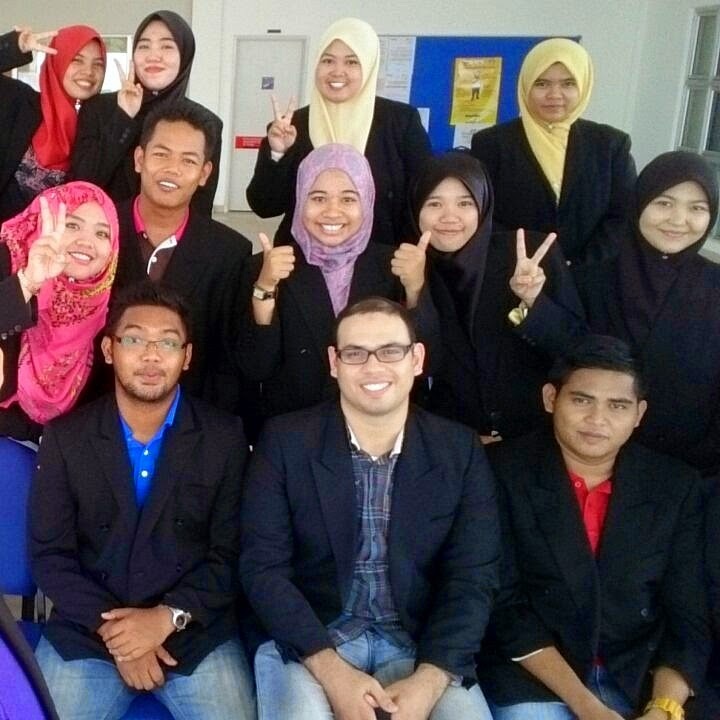 Thank you for being a good classmate guys! 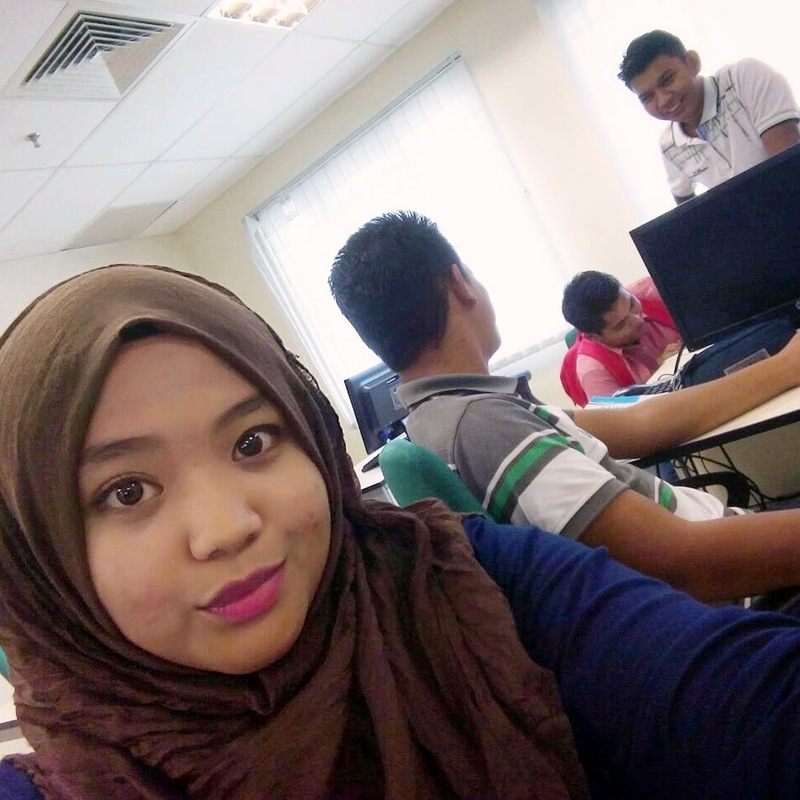 Group assignment and selfie! Hahahaaa.. 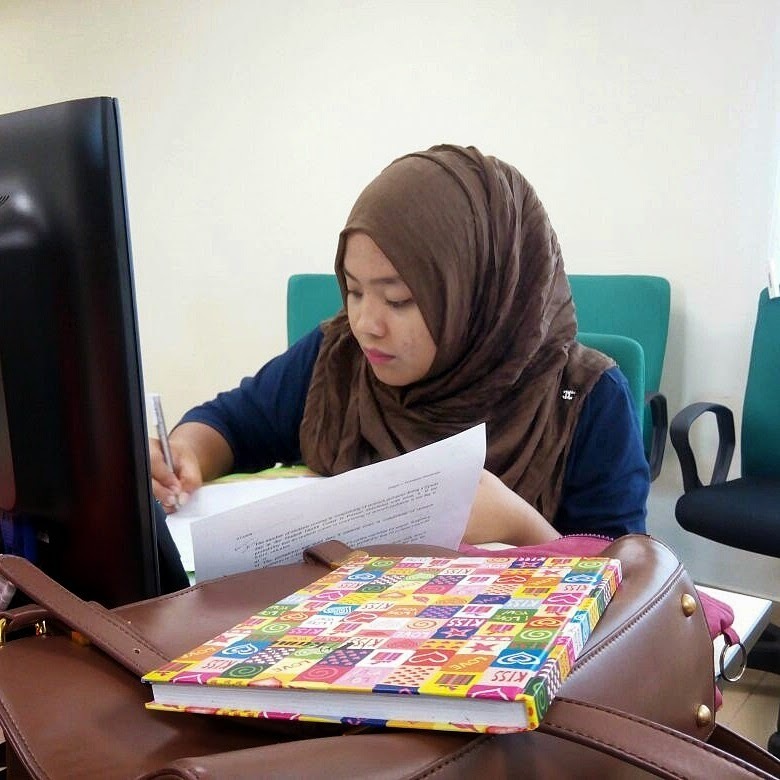 Credited to my friend who take my picture silently while I'm focusing doing my assignment. Huhuu..
and I register as Ahli Mengudi. wuuhuuu~ feeling old now..dah sampai masanya untuk saya mengundi..
On weekend. I just spend some quality time with my housemate ! My weekend was sooo nothing cause I feel like doing anything. I just spend most of my time at house and singing and at night we play badminton. By the way! I want to wish Happy Deepavali to all who celebrate it! 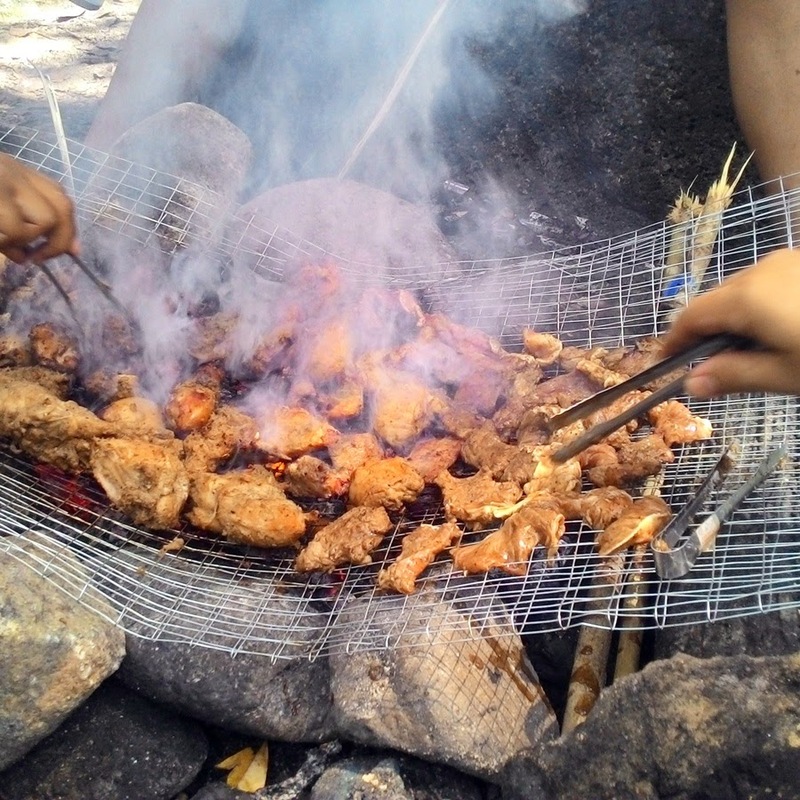 Tomorrow is public holiday, My classmate and I planning for a BBQ and spend our quality time together. Well, I will update more story for the next Random Week entry.. Happy Friday everyone.. Its TGIF! 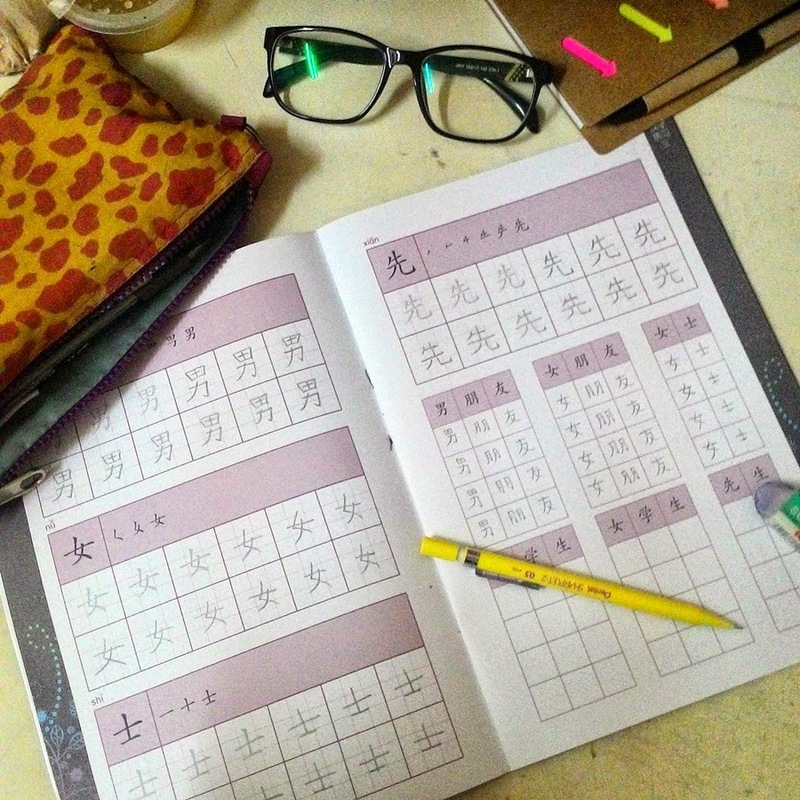 I'm so busy with my study life now. 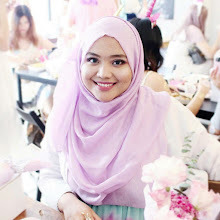 It is not that I studies and do a revision all the time it is just that I don't have a proper timing for me to frequently update my blog. Sometime I want to update about something but I don't have enough material to share with you guys. But I will make sure to stay updated. Another outfit post that I want to share today. What special about this outfit is that blouse. The blouse is belong to my late mother. I miss her so badly. I was lucky among my siblings I guess cause I was the only one who can fit my mother dress or blouse so I take this opportunity to wear her blouse as a remembering of her. It is not that I don't remember about her at all. I always remember about her all the time. This is one of my favorite blouse of her's. I love how softly the design is and the color really nice. The design of this blouse remind me of Sakura. 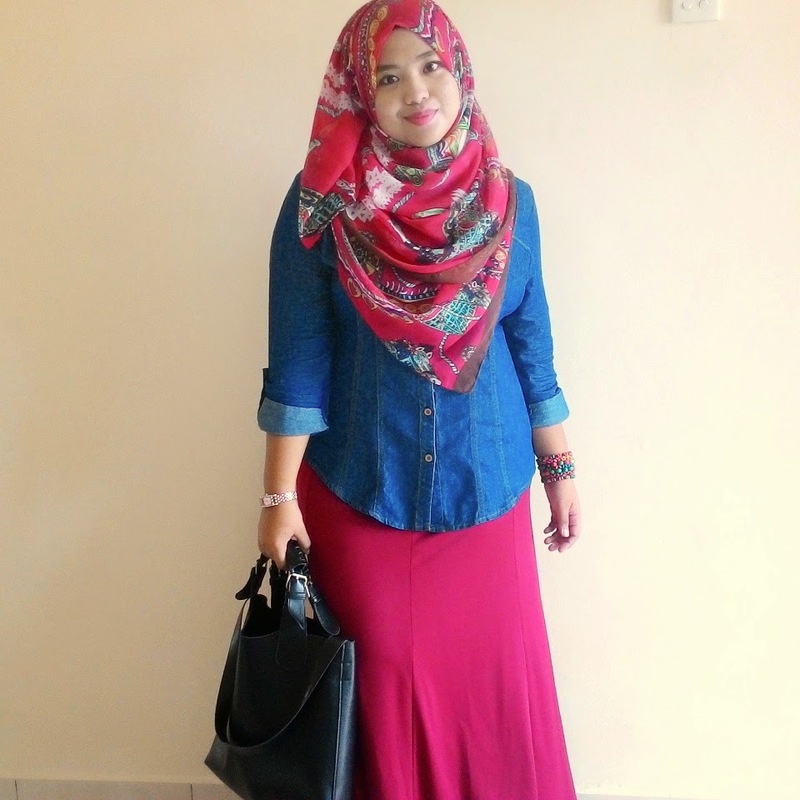 I match this blouse with Poplook skirt and black glitter shawl. Another random week post. Last week was my mid-term break. So I cuti for a week and I do enjoy my break without doing any assignment. Kekekekee.. I don't know why with me but everytime I at home I just can't study. Hahaa.. My habit cause I find my home is a place to enjoy and rest. I know I'm not really good student. Teeheee.. What I do during my break. Most of the time I spend just relax. Jyeahhhh! Some couple check list of the month. 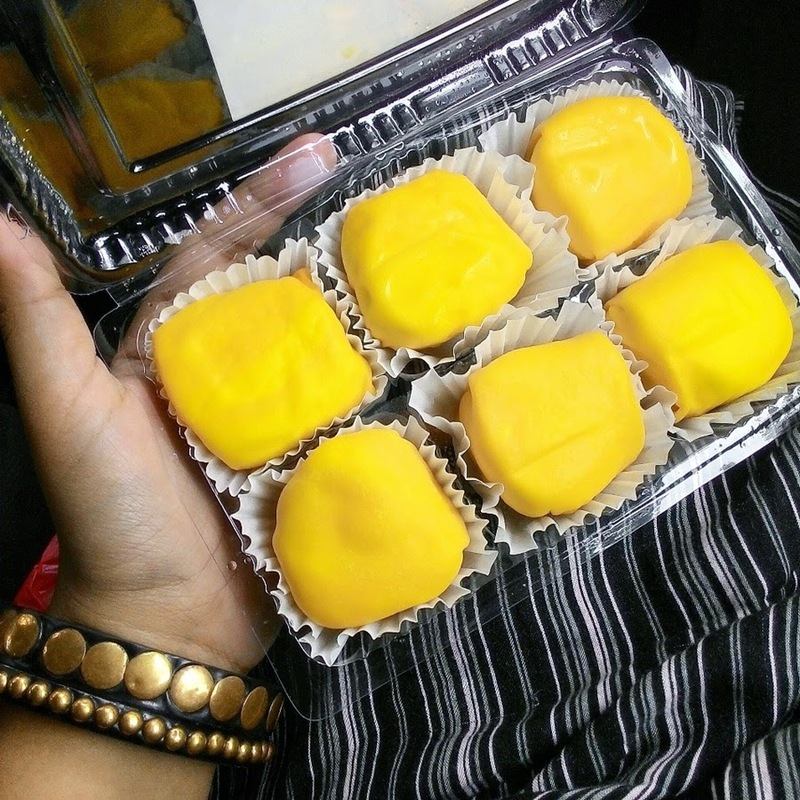 Once I really craving for Durian Crepe and I found one. I was about to go alter my t-shirt that time and I passed by the stall that sell Durian Crepe and I was so excited cause I've been looking for this a long time ago. Another check list I've done for this month is that wash my car by me myself. Yeahhh.. 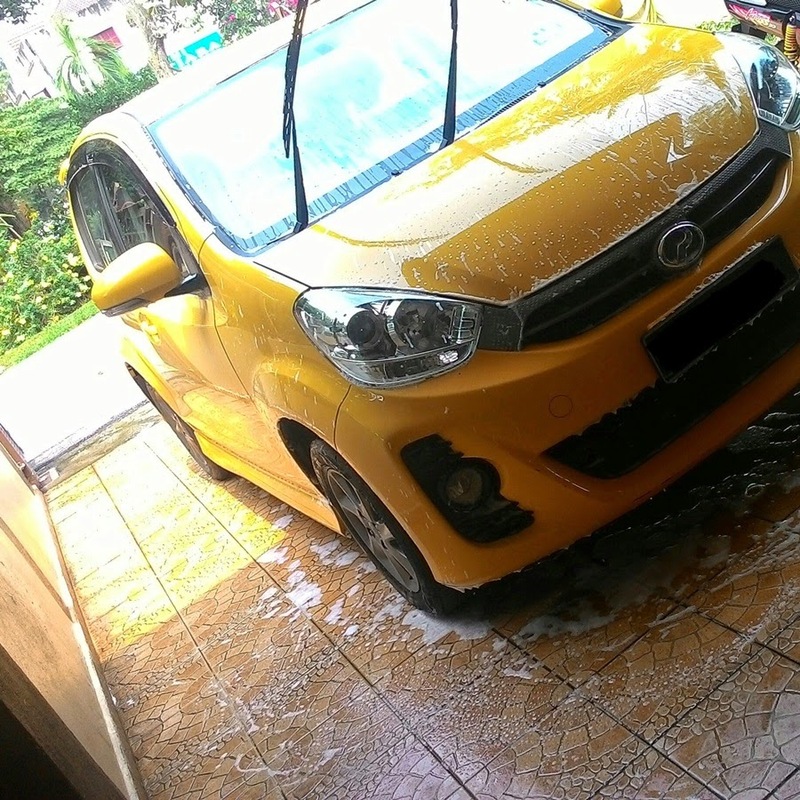 I really satisfied after wash my car myself cause I feel like I can really clean my car really well pluss I know if there is any strtches or stain on my bee. Ohh well, If you all followed me awhile know that I call my car Bee. Hehehee.. 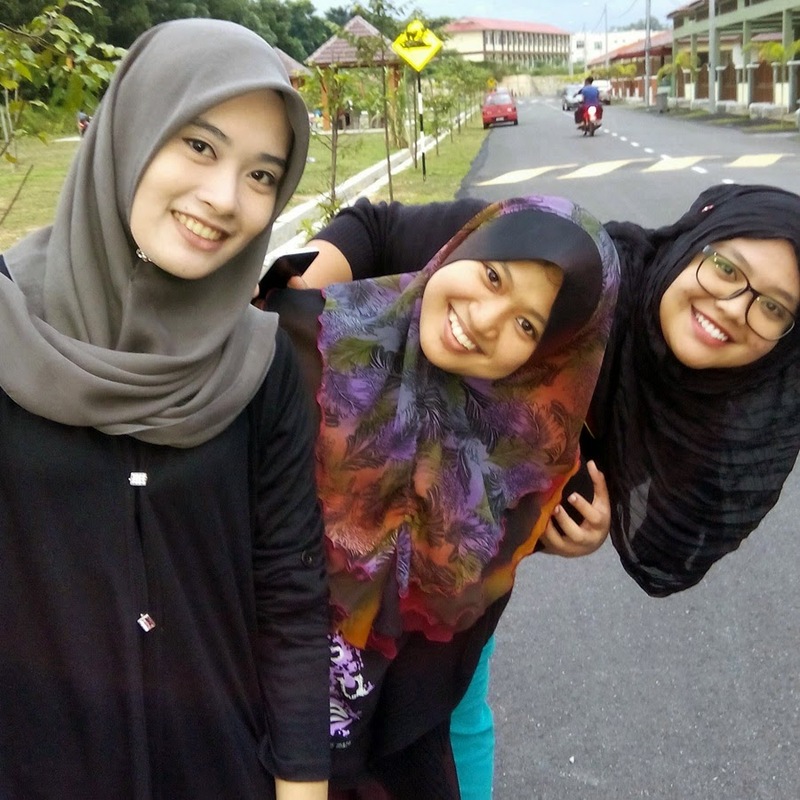 I spend a quality time with my girlfriends. 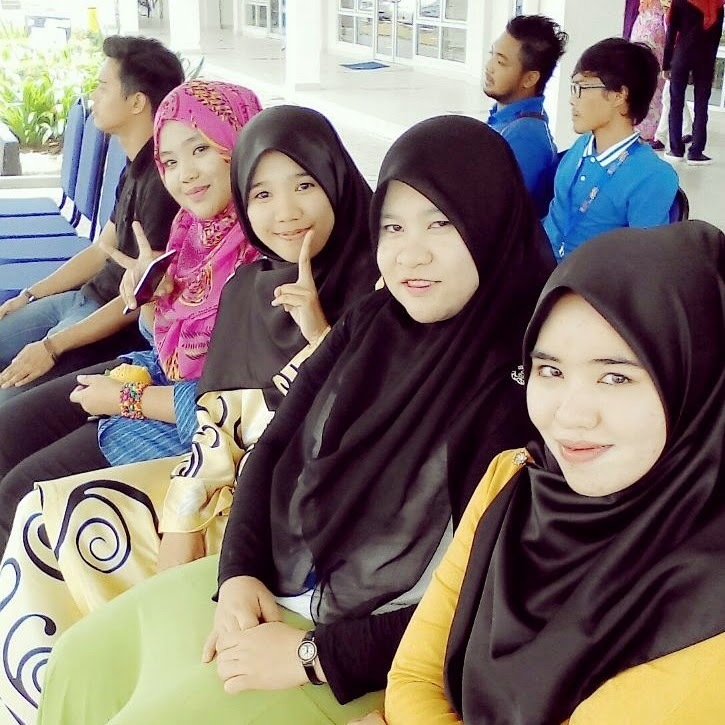 It is been awhile since four of us meet up together. We started out friendship since in school time. 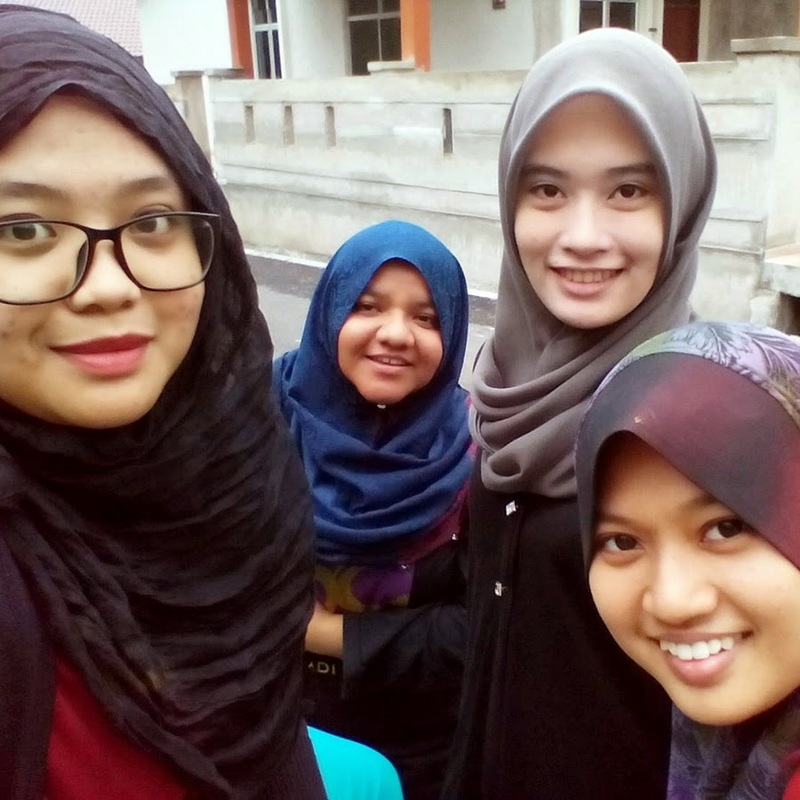 That day we chit chat and decide to meet up since I was on my mid-term break and four of us free. We go for a food hunt. 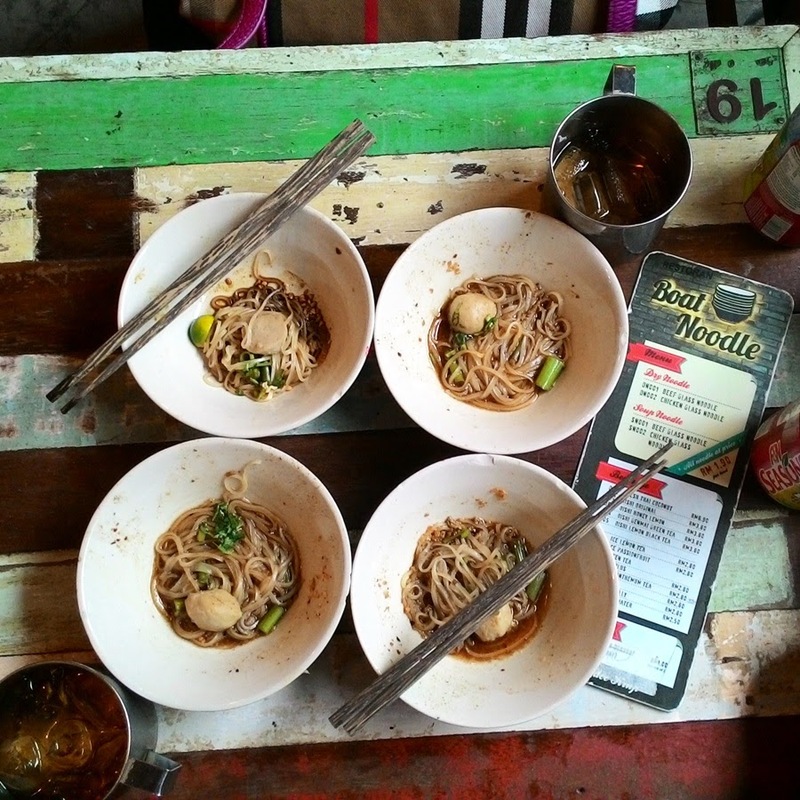 Yeahhh.. My friend suggest to eat at the Boat Noodle. 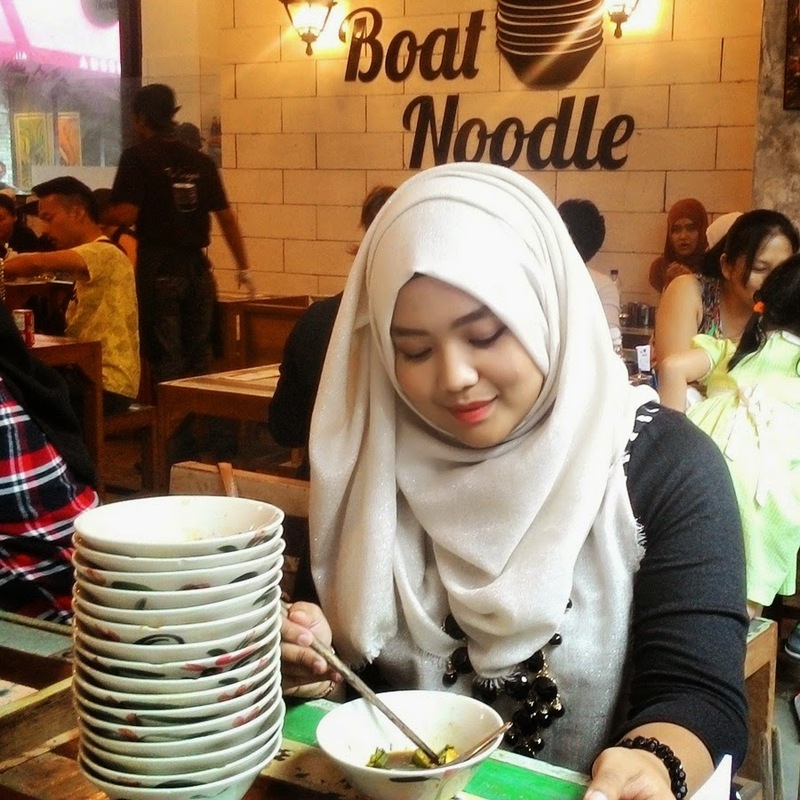 This is my first time eating at Boat Noodle. I heard this place is quite famous. 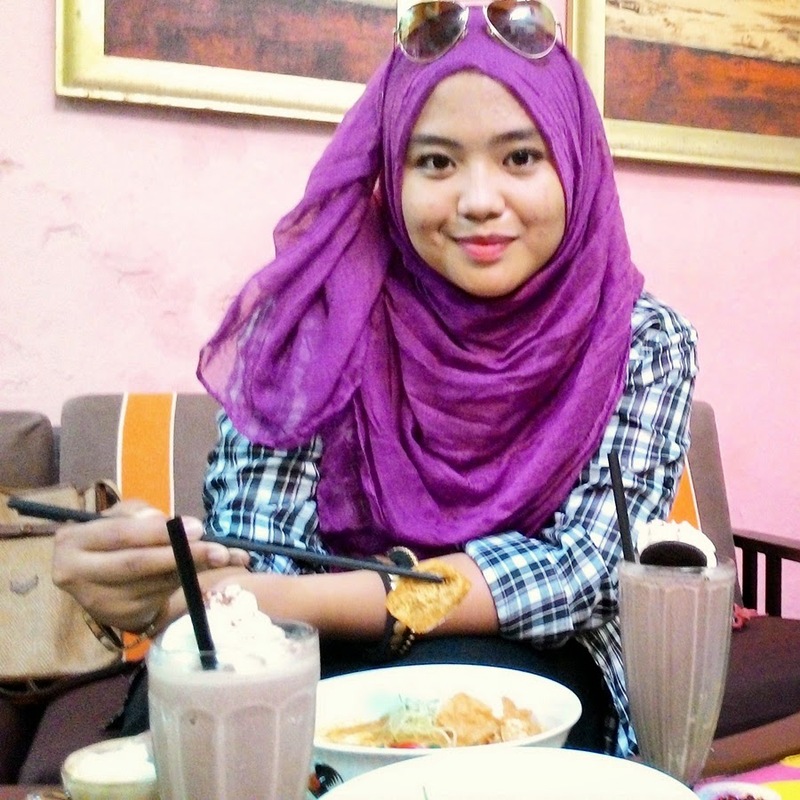 So, we spend out time at Empire Damansara that day. We do some photoshoot moment and chit chat. At the evening we also go hunt for food. hehehee.. Ayooyooo.. Hancur diet ioulsss.. 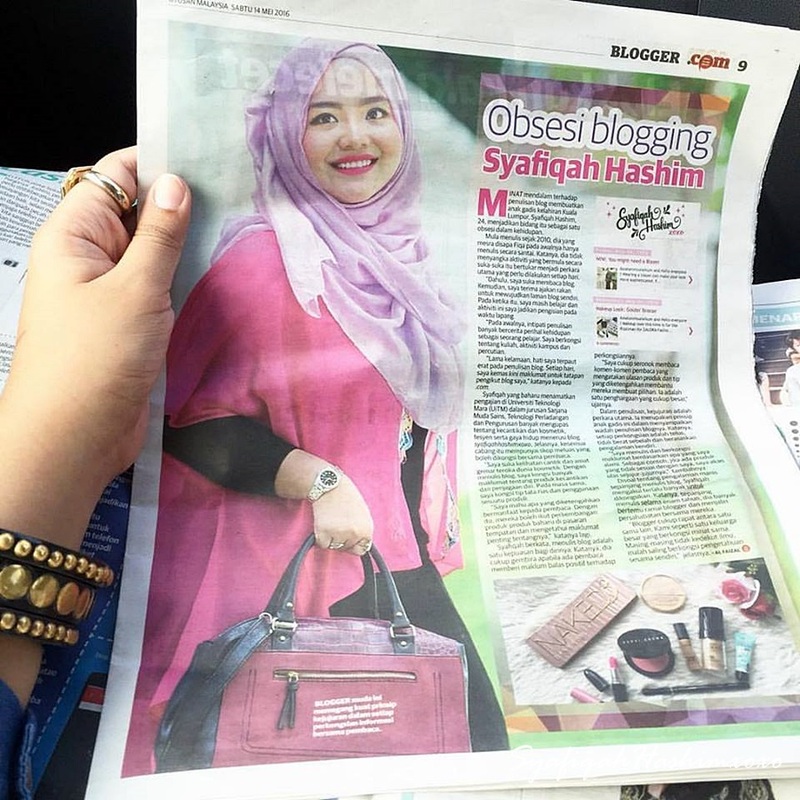 I still able joining a blogger event that day on Saturday. I was invited to Dettol Ph Balance event. I will story more about it later on. More more details and I will share how amazing is New Dettol Ph is. I also meet up with bloggers buddy! 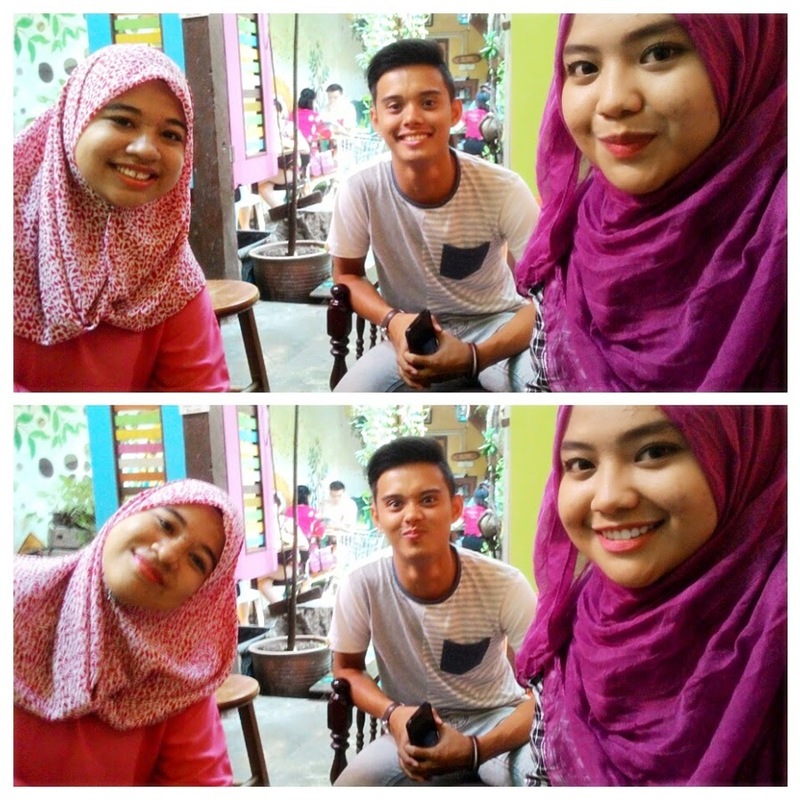 wahhh..mishhh emmm much! As you can see my picture the saturation was awful !! I hate it! When I edit the picture it look good on my computer but once I upload it on my blog the color change..Puffftttt ! Hahahaa.. Anyone can help me out here how to change the setting or whatever. Help me out yahhh..
As usual, the packaging is like this. I LOVE the packaging, the design was sleeky exclusive that make me happy especailly when I put it on my vanity it soo beautiful. Goshhh, I hope you understand what I mean though. Hahahaa.. But I have some problem with this packaging cause this packaging it is like silicon rubber that makes me annoy a little bit cause if shimmer eyeshadow fall off it will stick to the packaging. Annoyedddd much! But it's okay I can simply clean it up agin but kena extra rajin lah.. Huhuu..
Close up look the the eyeshadow shade. As you can see that the color are really nice together. Left: The shade is Silvery Grey that come out really nice and it has shimmer on it. Right: The shade is Grey more to charcoal kinda color and it has matte finish. This is the look on me that come out after apply this two together. 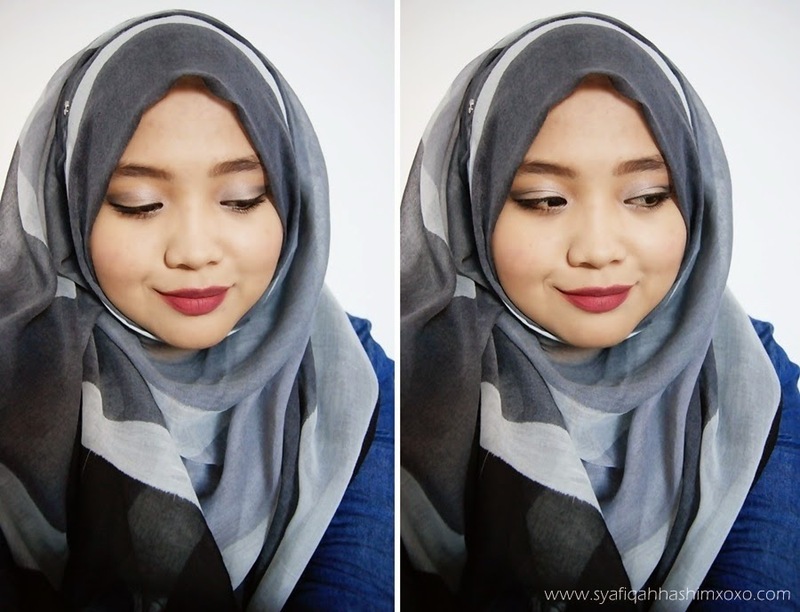 Smokey grey eye-look. If you notice NARS Duo Eyeshadow come in various combination that surprisingly unsual seen. Means that the combination is sometime rare and unrealevent I think. Kekekee. But as it claims that the colors won't necessarily have to match the traditional sense but the combination of color will make you explore the different ways of using the two shades together. NARS Duo Eyeshadow in Paris has a good combination of shades compare to the others. This duo eyeshadow are pretty nice and the color also more to basic. The color of True Matte Grey and Shimmery Silver Gray perfectly to combine of thise shade and you can make like smokey eye look for night time or if for day time, you can choose one of this color and simply apply it on so it does not look so heavy. I would prefer to used a single shade in a day time and my choice is True Matte Grey shade. As usual, if you want a better effect and lasting period you can apply your eye primer first to ensure that the eyshadow will stay put all day long. The color pigmentation are also nice, it is not hard to swatch them like any other Nars Eyeshadow that I have tried this shade are really buildable and consistency. The eyeshadow is bendable you just have to play with them more frequent to balance the consistency. The color will be different in each skin tone but I have no problem with that cause it match my skin tone very well. By the way, my skin tone is more to medium warm asia skin. Yeahh. This duo are super cool for smokey look! Overall, I think this duo was pretty together. To be honest on my opinion some of NARS Duo eyehsadow have a combination that does not make any sense. Hahahaa.. So, you have to choose what it is worth to have, the color that you desired and the consistency cause I notice some of it are more chalky. If you would love to try some of NARS eyehsadow I would recommended this shade. But makesure you make a lot of saving cause I do and I need to saving more after this !